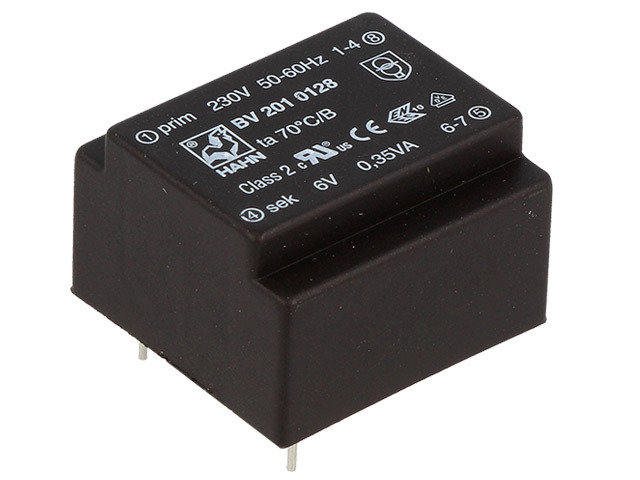 BV20 is a series of PCB transformers designed for low-power applications. A major advantage of this series is its excellent workmanship quality. The windings are double-coated, and the entire transformer is coated with epoxy resin resistant to extremely high temperatures. The BV20 transformers from HAHN are available in two power variants: 0.35 VA (BV201 series) and 0.5 VA (BV202 series). Furthermore, each version has several output voltage levels.